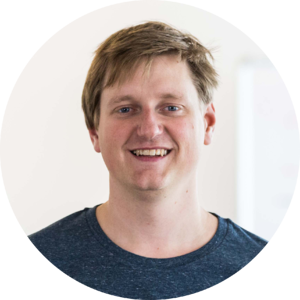 Jeroen founded Teamleader in 2012 together with two college friends who originally formed a web design business. Following customer feedback and hundreds of feature requests, they created Teamleader to meet the specific needs of SMEs. Jeroen seems to have an seemingly endless stream of ideas and prides himself on always being on top of everything in his company. He doesn’t only reach out for the stars on a professional level: on the weekends, you can regularly catch him on his racing bike in the hills. Be aware, he’s hard to keep up with!